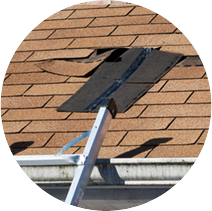 First Class Roofing & Building Services is a family run business with over 30 years´ experience in the roofing industry. 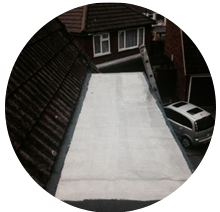 Our objective is to give both Domestic and Commercial customers a First Class, professional, friendly and trustworthy roofing service. 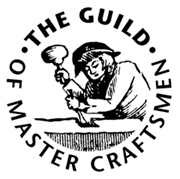 Our team take pride in their workmanship, and have been members of The Guild of Master Craftsmen for the past 20 years. It is a wise choice for any consumer to seek a skilled and trusted tradesperson and The Guild of Master Craftsmen provide consumers with a database of those local, skilled and reputable professionals who are masters of their particular trade. Only our own staff will work on your premises, we do not use subcontractors so you can rest assured your project will be handled efficiently and professionally at all times. 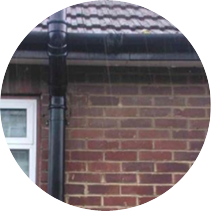 Based in Staines, no job is too small and we welcome enquiries from potential customers based in Ashford, Byfleet, Chertsey, Egham, Feltham, Hampton, Hounslow, Twickenham, Virginia Water and all surrounding areas. We do not always require a deposit before we start your job. Take a look at over 138 reviews from our satisfied customers by clicking here or see the Testimonial section at the bottom of this page. "Very reliable, efficient and excellent workmanship. Would recommend…...........Customer in Middlesex, November 2016." "Recommended by a friend, very reliable and carried out work to a good standard, tidied up afterwards and I have already recommended the company to someone else..................customer in Ashford, February 2017." 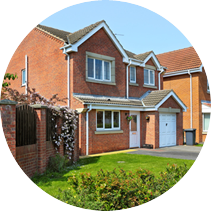 "Mr Harris consistently carries out excellent work. He is polite and trustworthy and I have used this company on many occasions....................repeat customer in Ashford, February 2017." "Very good workmanship, very professional and polite. Reliable. Would highly recommend them to anyone….....customer in Staines Upon Thames, January 2017." "I have used Mr Harris´companyh on several occasions. He always explains thoroughly the work to be done and makes an excellent job every time.Very trustworthy.....................Customer in Ashford, December 2016." "Very reliable and professional company. First class work carried out and included other work In quoted price, very helpful and pleasant…Customer in Egham, Nov 2016"
"We needed urgent work doing and they were at my house within 2 hours and work was completed straight away. Very polite and tidy, would definitely recommend................Customer in Ashford, March 2017." "Second time we have used his company, Jim was very helpful, courteous and reliable, very pleased with work carried out…......customer in Ashford, March 2017." "The work was carried out excellently. A very good, professional job. I will certainly use their service again…......Customer in Ashford, April 2017."